Comes with carry pocket on back rest and companion drink holder. 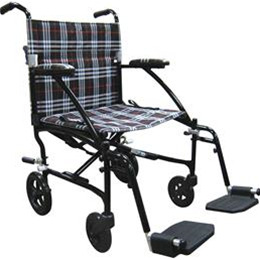 Attractive plaid style nylon upholstery. 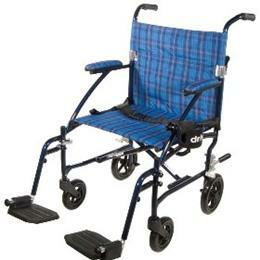 Tool free, height adjustable swing-away footrests come standard.